The Fortex awning with roof extension is a versatile product; it can be used as an awning, an canopy and a awning with roofextension. The main color of this awning is a design dark gray or design light grey (Ten Cate). This gives the awning an even more modern look. 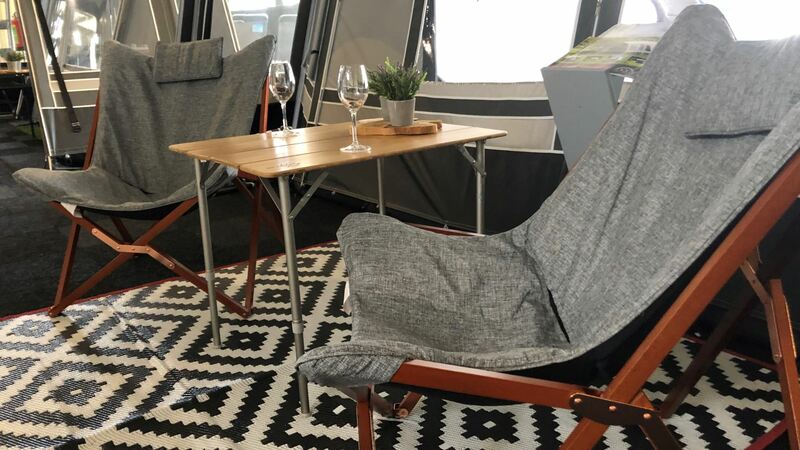 The Fortex awning with roof extension is suitable for use throughout the complete camping season. The Fortex awning with roof extension has large ventilation openings that are protected against rain by the roofextension. The roofextension has a depth of 85 cm. This size gives the proper protection of the front panel and the depth of the extension is not sensitive to wind. The Aronde awning is by design more resistant to weathering than traditional models. The water drainage (to the sides) is better and the awning is less sensitive to wind because of its round shape. Of course, these awning is custommade and you as a customer have the possibility to choose from different color accents. The front wall is in two parts detachable. The front wall is like two points obliquely forward for extra stability. When zipping out the walls, you create a canopy with a depth of 3.3 meters. This product can be extended with , double mud flaps (single standard) or detachable mudflaps, extra rod set for porch possibility, extension, inner tent, Led-lights. A center pole is provided for supporting the arch at the assembly of the wall. When using the awning as a canopy, the extra stick will not be necessary. Our Fortex Aronde tent canopy is ANWB tested and was being compared with the Unico awning. 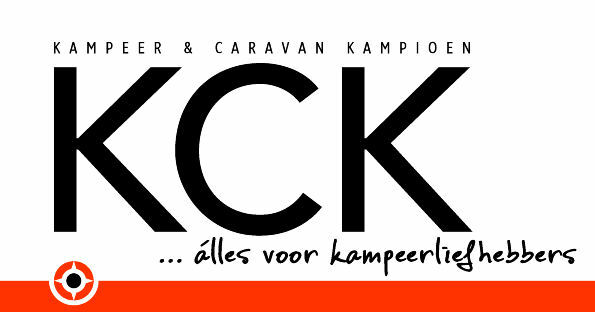 Click on the logo for the ANWB KCK evaluating the Fortex Aronde awning and click the KCK logo for the comparison with Unico.